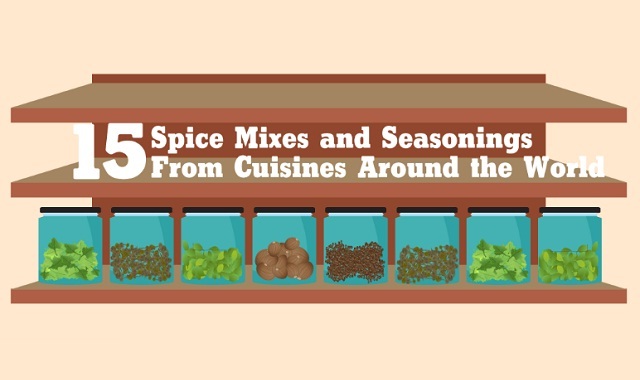 15 Spice Mixes and Seasonings from Around the World #infographic ~ Visualistan '+g+"
One of the most wonderful and exciting things about traveling is the opportunity to experience different cuisines. Each cuisine offers a unique flavor profile that is rich with history, culture, and tradition. Spices are responsible for imparting the iconic flavors that define food across the globe. The same dish can be transformed in countless ways due to spice blends cherished by the locals. This is a guide to 15 spice mixes and seasonings to help you identify why your favorite cuisines taste the way they do, and it can help you honor and recreate them in your own kitchen!